Budget airline EasyJet has announced it will offer routes from its base in Stansted to Marrakech, Morocco, Sharm el Sheikh, Egypt and Sofia, Bulgaria. The new route to Marrakech will launch on February 15 with three flights per week. Flights to Sofia will be available twice per week starting from February 16. Flights to Sharm el Sheikh will be available from February 17 with two flights per week. The new routes will be served by larger A320 aircraft with capacity up to 180 passengers. Regarding the new routes, Stansted managing director Nick Barton said: “Today’s announcement is fantastic news for both easyJet and Stansted Airport and will provide passengers with even greater choice and more exciting destinations. 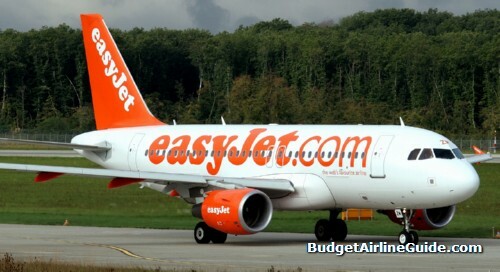 Low-cost airline EasyJet has been granted the rights to fly from London (Gatwick) to Moscow, Russia. The airline plans to launch the new route in spring 2013. According to an EasyJet spokesperson, the airline will offer round-trip flights per day on the London – Moscow route. One-way fares are expected to start from £65. “We believe that our flights will be popular with both business and leisure travellers alike.” sais EasyJet Chief Executive Carolyn McCall. Low-cost European airline EasyJet has announced it will increase the number of planes based at Edinburgh Airport from 5 to 7. The expansion will result in 160 new jobs and 6 new routes. The new routes available from Edinburgh International Airport will be Berlin, Hamburg, Prague, Copenhagen, Reykjavik, and Dubrovnik. One-way fares start from £28.99 including taxes. Hugh Aitken, EasyJet’s Head of Scotland, commented: “EasyJet’s new routes have been selected to boost both inbound and outbound business and leisure travellers. The two new aircraft mean that we, along with our ground handler, are able to create 160 jobs in Scotland as well as hundreds more which will be created through increased tourism. We will also be increasing our frequencies and the number of routes we are able to operate. EasyJet has announced it will offer flights from Edinburgh to Reykjavik, Iceland starting in March 2013. The initial schedule will be 2 flights per week on Mondays and Thursdays. Iceland Express, another low-cost airline, recently dropped the same route for its 2013 summer schedule. EasyJet also flies from London Luton Airport to Reykjavik, Iceland. EasyJet has announced it will switch to allocated seating on all flights starting in November. EasyJet experimented with allocated seating over the summer and found it to improve customer satisfaction and likeliness to fly with EasyJet in the future. Speaking on the subject, EasyJet CEO Carolyn McCall said: “This is an example of easyJet trying to do all it can to make travel easy and affordable for our passengers. Our customers asked us to trial allocated seating and we are really pleased with the positive passenger feedback during the trial. As importantly, we have shown that we can do so while delivering strong on time performance – the most important driver of passenger satisfaction. easyJet, the UK-based budget airline, has announced a new direct route from Manchester to Tel Aviv, Israel. The new route will begin November 1, 2012, and operate year-round. The initial schedule will be two flights per week. One-way fares start from £82.99 inclusive of taxes. Europe’s budget airlines have proven their reliability following the collapse of Spanair. To serve the 22,000 Spanair passengers were stranded by the sudden cancellation of their flights, EasyJet, Ryan and Vueling have responded with increased flights and special deals. British budget airline EasyJet launched their new Madrod – Bilbao route 3 weeks early with special fares of €50 to assist stranded travelers. Similarly, Irish budget airline RyanAir is offering fares of just €49 on more than 20 domestic and international routes from Spain. Spanair suddenly ceased all operations on Friday, January 27, 2012, and has filed for bankruptcy. This week European budget airline EasyJet launches its new mobile app named ‘Speedy Booking’. The app is designed to give customers a full range services through their mobile devices and can be used to book flights, add luggage, check flight statuses, and manage bookings. EasyJet claims it will be the fastest airline app and will be an invaluable asset in times of flight disruptions, such as severe weather, as it will give passengers the most current information and allow them to make changes to their flights with a few touches. The app ‘Speedy Booking’ is completely free and available to download from the Apple Store and Android Market. The app will cover all of EasyJet’s 580 routes to Europe, the Middle East, and Northern Africa.